Leaders are responsible for developing the talent within their organisations. Through succession planning, leadership development programmes offer employees a clear pathway through management and into leadership roles. Such programmes provide opportunities to develop the skills needed to move up within an organisation, and to grow a career. It also generates good morale, greater team productivity, creativity, innovation and allows everyone to feel better connected to the business. Knowing how to develop leaders from within is crucial to the success of any organisation. Know your strategic goals. Define what attributes current leaders have which are essential to the business and identify the traits you want your business leaders to possess. Identify what leadership really means for your business and what makes an effective manager. These are not always top-performing employees. Consider the traits your organisation wants in its leaders and identify people whose skills can be developed and can be given the confidence to ascend the ladder. Make sure that everyone is aware of the programme, although not everyone may want to go on it. Leaders are nurtured and developed by being put in situations where they can learn and grow. 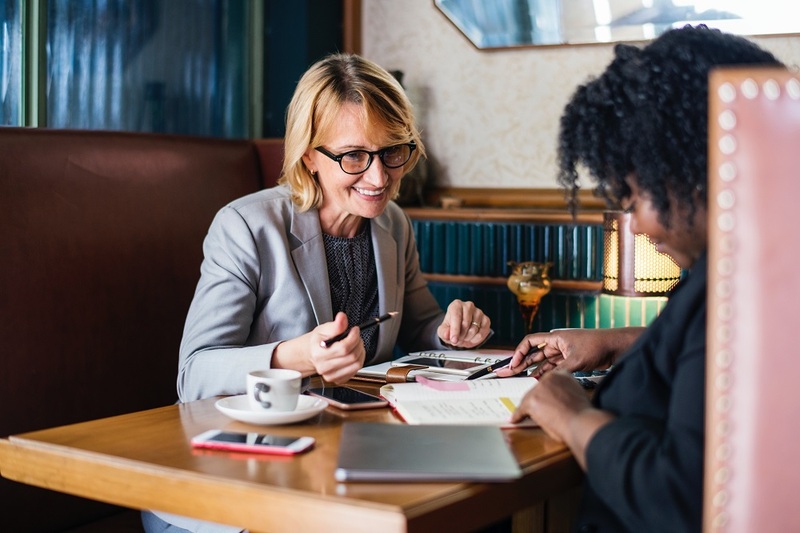 Mentoring, coaching and training are effective components of developing leaders, as is ongoing feedback such as with the McQuaig 360 Leadership Review. Understanding how to develop their emotional intelligence at work is also critical. It is important to determine how you will measure the success and impact of a leadership programme. A strategic leadership programme should develop high-performing employees that will advance your organisation’s overall vision. The best way to retain your talent is to engage and develop it. Invest here for better performance. It is more cost effective to promote your existing employees as they are likely to be a great fit for your organisation. Leadership programmes can boost morale and help transform your organisation into an aspirational workplace. Investment in staff training and development can make them, and by default your organisation, more agile in challenging times as they are able to be more resilient to change and problems. Developing your own people is cheaper than recruiting afresh. When employees feel they have a role in their company’s future, they respond with loyalty. Investing in a leadership programme is a smart move. Where training focuses on best practice, a combination of coaching and mentoring can help future leaders to develop their skills by focusing on their performance. Your programme should have a clear framework for leadership development which addresses the skills required to achieve business goals, as well as identifying employees who have the highest potential for achieving those goals. Leadership programmes need a combination of training, development assignments, projects and support. The Holst Leader Series is a portfolio of training courses designed to help expand and integrate leadership skills to bring growth to the individual and to their organisation. Whether this is through our training courses including ThinkSpeak™, Engage Your Reader and Effective Teams amongst others, or through business coaching and facilitation skills. If you can retain, engage and develop talent then your organisation is likely to outperform others. Investing in your future leaders will motivate and engage your workforce, making it an aspirational and effective workplace.